We are a local family owned business, established in 1940. We have four locations. The original location on Sherman Ave. & 13th Street is Open Year Round. 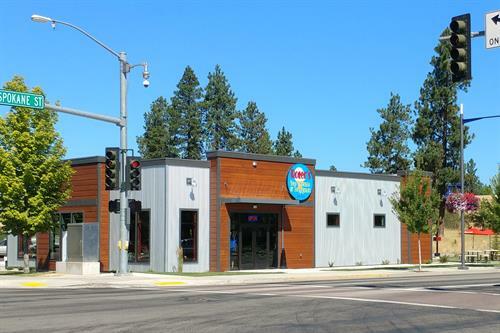 We also have a location in Cda on Neider Ave. between Hwy 95 & Government Way & a location in Post Falls off I90 & Spokane Street. Our fourth location in Hayden is on Honeysuckle & Hess St.
We are not fast food. Everything at Roger's is made to order from scratch the old fashioned way. We are committed to serving the highest quality, freshest ingredients starting with our hamburgers. We make them from 100% fresh Country Natural ground beef. Our beef is 100% vegetarian fed, sustainably and naturally raised with no growth hormones or antibiotics ever. We also serve a turkey burger and garden burger. Nothing is kept under heat lamps and we don't even own a microwave. We cook every burger & fry to order. Our burgers are topped with the freshest ingredients, lettuce is hand-shredded, and onions and tomatoes are sliced daily. Our burger & fry sauce are made from scratch. Our French fries and homemade Kettle Chips are made with potatoes that we hand cut daily from locally grown potatoes and fry in Rice Bran Oil. All locations offer ice cream, shakes and malts made with premium hand dipped ice cream. We have over 17 flavors to choose from including specialty flavors Caramel Caribou & Moose Tracks. Not to mention local favorite Huckleberry Heaven. We also carry a no sugar added flavor and a non-dairy sorbet. 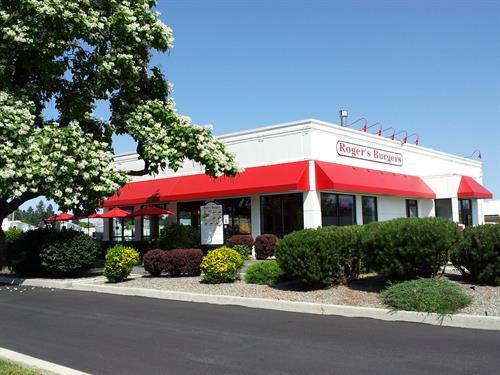 At Roger's we pride ourselves on serving fresh, quality ingredients. Our Burgers are made with 100% fresh Country Natural beef. Our French fries and homemade Kettle Chips are cut daily using locally grown potatoes. Great turkey burger & garden burger! Our tomatoes, lettuce and onions are cut fresh daily. Premium ice cream with 17 flavors to choose from including specialty flavors, no sugar added & non dairy sorbet. Downtown Cda on Sherman & 13th St. North Cda is on Neider Ave. between Hwy 95 & Government Way. Post Falls is on Spokane Street & 4th Hayden is on Honeysuckle & Hess St.